There’s no film more irksome than Moments of Love with a ridiculous ending like that! Imagine some bachelor in his twenties finally getting to meet his “soulmate” who’s almost decaying that any moment in time, her soul might leave her body. I know it’s purposive to bring the ‘happy-ending-complacence’ but the movie pioneered instead on ‘horrible-ending-condolence’. Juni is really getting on my nerves: she’s racing ahead of me in the music career. Hah! I know I am an ambithiotho and illuthionado. Hehe. 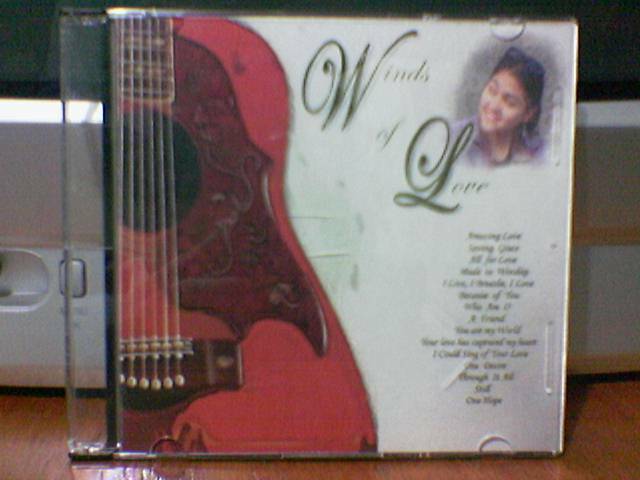 Juni’s debut album here: “Winds of Love” tama ba? Inside this CD ia a repertoire of inspiring songs for only P300. In the last few weeks, I had the urge to consult a physician or any squalid albularyo I know. College has taken my life, that’s why I can’t even be precise about personal health concerns. I looked at the mirror and saw my head engorging like a balloon! What the?! Hydrocephalus, is it? So now, I’m drenched with academics: exam in Journ101 , report and finals in BroadComm100, film analysis and take home exam in Film100. Whew, I could choke anytime but thanks to SpeechClass (we won’t be having it since yesterday). Speaking of it, our last classmate who delivered his extemporaneous speech culminated Comm3 musing over everything that has transpired within the four corners of room 301. I would miss this class definitely; since freshmen I always got excited to have a class like this. And thanks to Ma’am for not giving us an exam or even a simple quiz. (Comm3 pictures here, sniff sniff). Okay, My Mom Was Here In Marikina. God, I missed my Mom. I practically spent my whole life with her— not that you know my parents separated since I was (very) young. In high school, She constantly believed in me: to the point that She would expect that in every quarter of the tedious academic year, I ought to receive an honorable uh mention. It has been terrible! Studying then was a phase of coercion and the jarring vice was the competition of parents flaunting their respective “brainy” offspring/s. 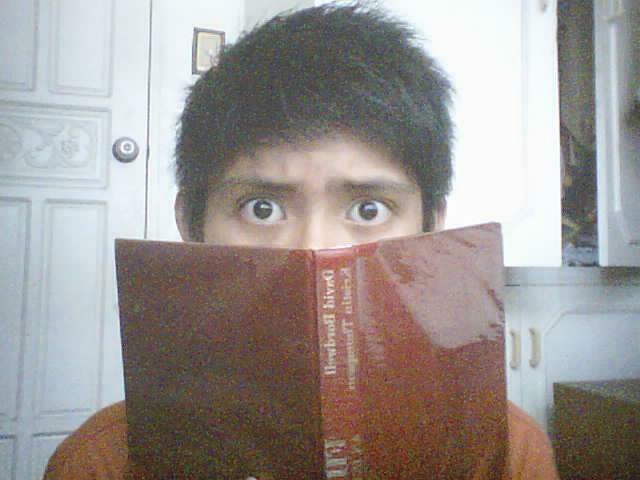 [Un]lucky me— I’m the only child and digesting those thick bloodcurdling textbooks was my diet. Those books were like veggies: chock-full of nutrients for the brain but indeed unpalatable! I would throw them all up and consequently get low scores in quizzes and/or exams. But hey, whoever in this planet Earth perused textbooks huh? Did you (assuming of course that you’re not an extraterrestrial being)? Why would someone read textbooks when there are comics, pocket books, fairy tale books, cookbooks, and other congenial books in this world to begin with? Anyway in College, I sure promised my Mom that I will shall be excellent in my acads. Ugh, is my drama haunting you? Okay, I’ll stop there.